UPDATE: As of December 2013, the DRM-free version is now public and available to all. Games simply not being completed isn't the only hazard people face when pledging money to Kickstarter campaigns. Other problems can arise, like pledges being made during a pitch running into licensing agreements made with Microsoft. 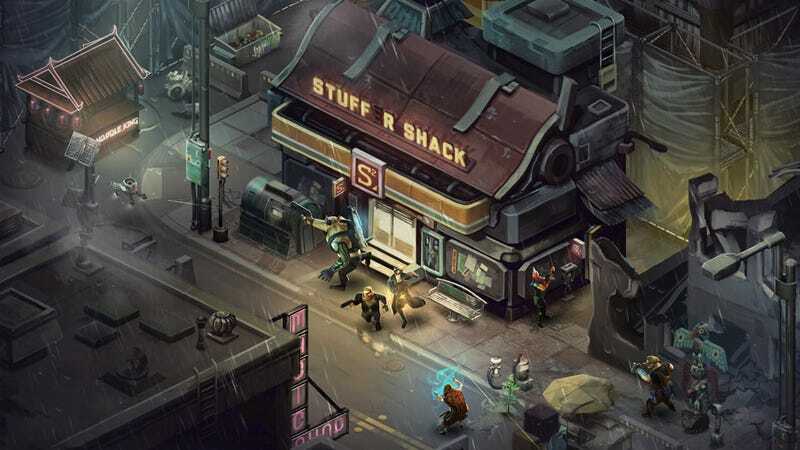 When Harebrained first asked for money to develop Shadowrun Returns, they said that the game would be free of DRM, or Digital Rights Management, controversial PC tech that in theory seeks to limit piracy, but in practice also limits what legitimate purchasers can often do with their product. For mobile tablets, Shadowrun Returns will be available via iTunes, Android Marketplace, and the Amazon Android marketplace. For PC/Mac/Linux, the game will be available DRM-free from our website. We are also looking into a Steam release (and potentially Humble Bundle as well). While the details are still being worked out, we hate draconian DRM as much as the next guy. We expect there will be an account system but it would be primarily used to enable the social elements of the game like mission and character sharing—not to restrict access to the game itself. Turns out that is true...from a certain point of view. Those who first backed the game on Kickstarter can indeed get a DRM-free copy of the game. Everyone else, though, those buying the game on Steam, will of course have to put up with DRM (since Valve's service is itself a form of DRM). Note: Backers also get a Steam version included if they'd like. That'd be fine if that's where the story ended, but those DRM-free versions will only support the original release of the game and certain user-made content. Subsequent updates to the game, like DLC campaigns, will only be available to Steam purchasers because "our license [from Microsoft] to develop Shadowrun Returns actually requires that the game and its DLC be distributed under DRM". Look, that end result isn't that big a deal. Most PC gamers buy games on Steam, and have no technical (or ethical) problems doing so. What's upsetting people more, I think, is the principle of the thing. The game's Kickstarter backers were the earliest and keenest supporters of the game, and part of the product they were promised was that the game would be free of DRM. That the DRM-free version is future-gimped is a bit of a kick in the pants.